When we created the Finally! 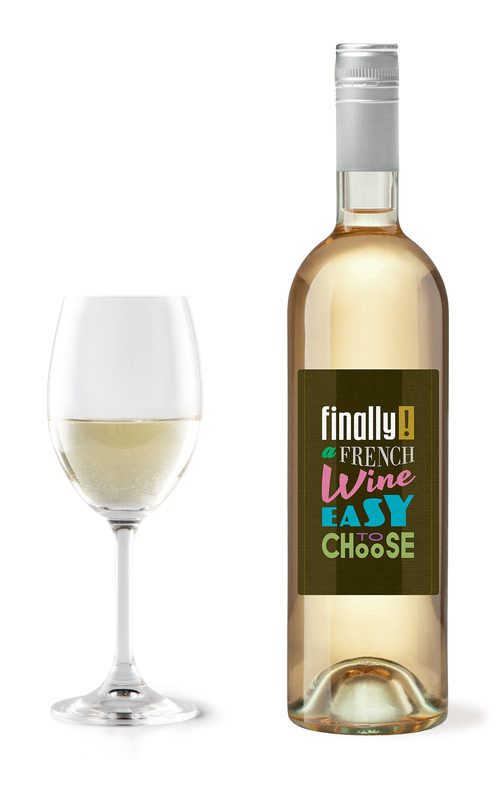 brand, we wanted to break away from the stereotypical French codes adopted by all the other French wines sold in international markets. 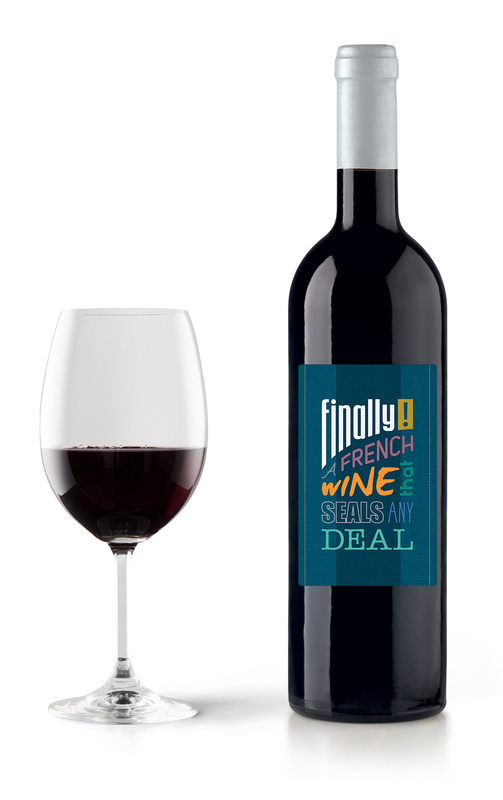 Imagine that… a French wine with an English name! But apart from the quirky name, Finally! 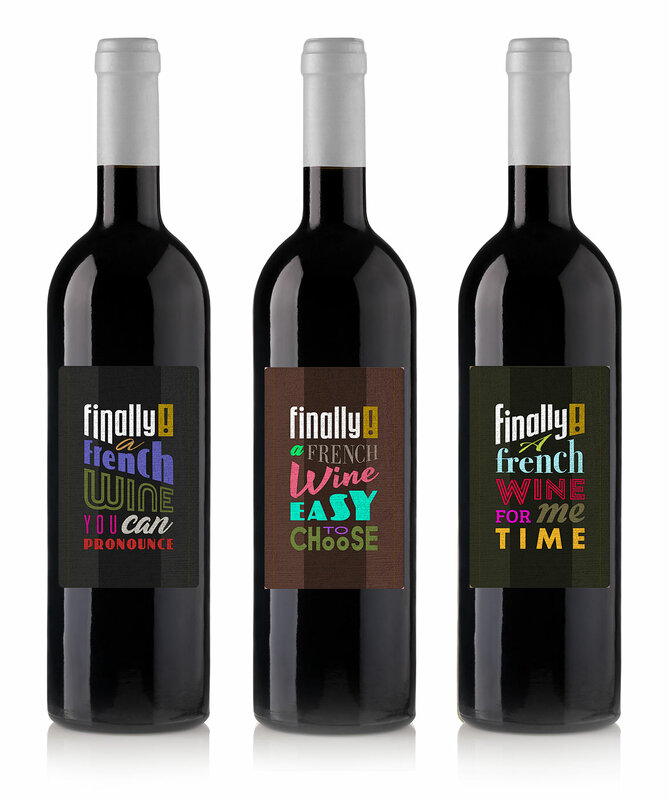 also aspires to revolutionize the way in which consumers select a wine in store. No more confused consumers not knowing what bottle of wine to choose for their dinner or an evening with friends. With Finally!, it’s written on the bottle. Often quirky, sometimes droll, all the Finally! labels guide consumers in their purchasing decision. 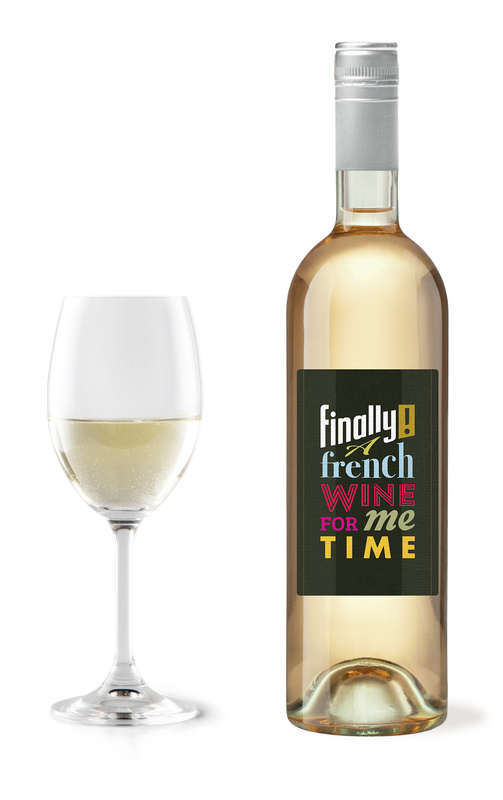 Whether for it’s for a romantic dinner, drinks with friends, or an evening out with the girls … the Finally! 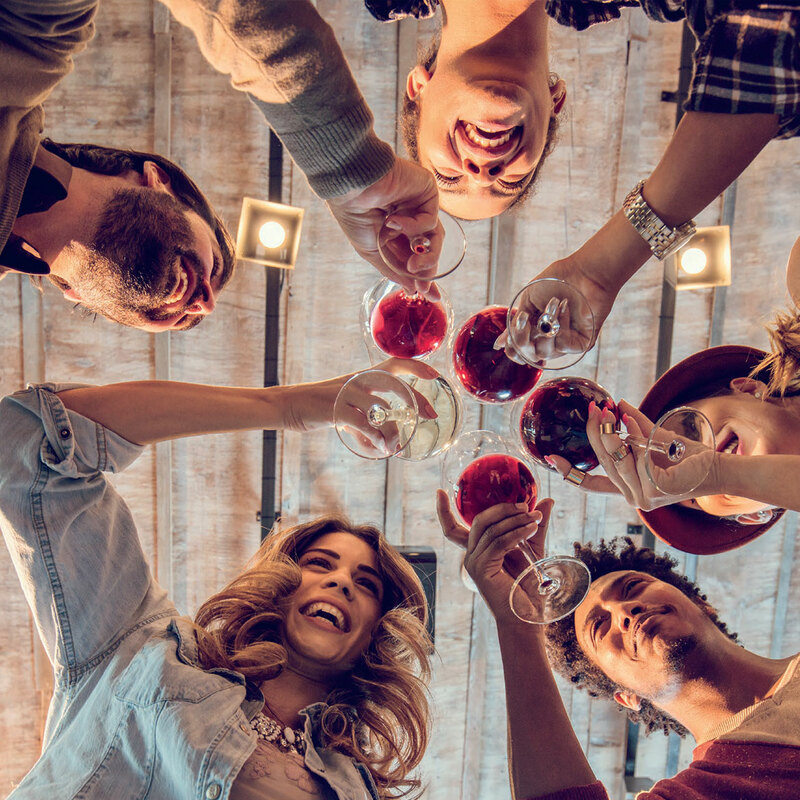 wine labels make choosing the right wine easy. TASTE: Wines & Brands offers equipment for daily use or for specific events such as tastings. 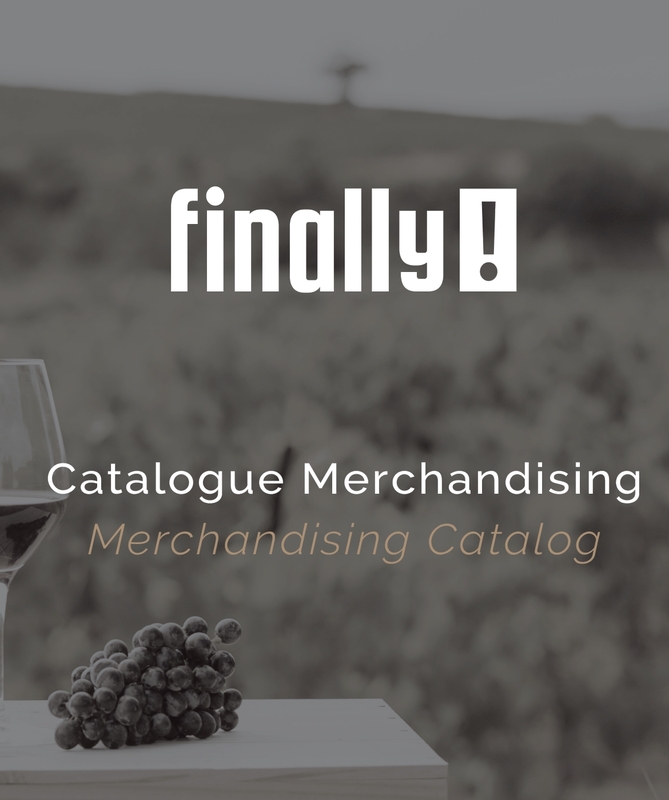 COMMUNICATE: Wines & Brands suggest POS highlighting material for instore activation of your customers’ off premises or in-premises. CARRY & WEAR: Wines & Brands suggest clothes and accessories for daily use or for specific events. Just because the packaging raises a smile doesn’t mean that the fun has to stop once the wine is in the glass. The Finally! wines have all been selected for their deliciously fresh and highly drinkable character. With none of the usual stuffy wine communication, our wines are simply intended to delight the palate.